WINNIE THE POOH is our beloved ‘hunny’-loving bear. Join in today to celebrate Pooh, Tigger, Rabbit, Owl, Kanga, Piglet, Eeyore, and all of the classic characters you know and love. In celebration, here's a recipe for a treat that's worthy of Hundred Acre Wood. Who is your favorite Winnie the Pooh character? 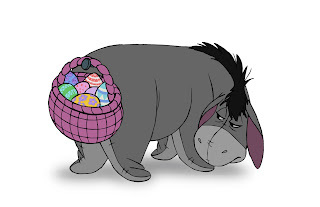 My personal fave is Eeyore. My girls were always huge fans of Winnie the Pooh when they were little.